It should come as no surprise seeing all the crafts and hoopla around Halloween, that its a family favorite Holiday around these parts. For DNH Girl’s first Halloween she was already 10 month and so it was fun to get her into costumes and she could sit up really well, so we had a lot of fun with it. Seriously, could this kid get any cuter? 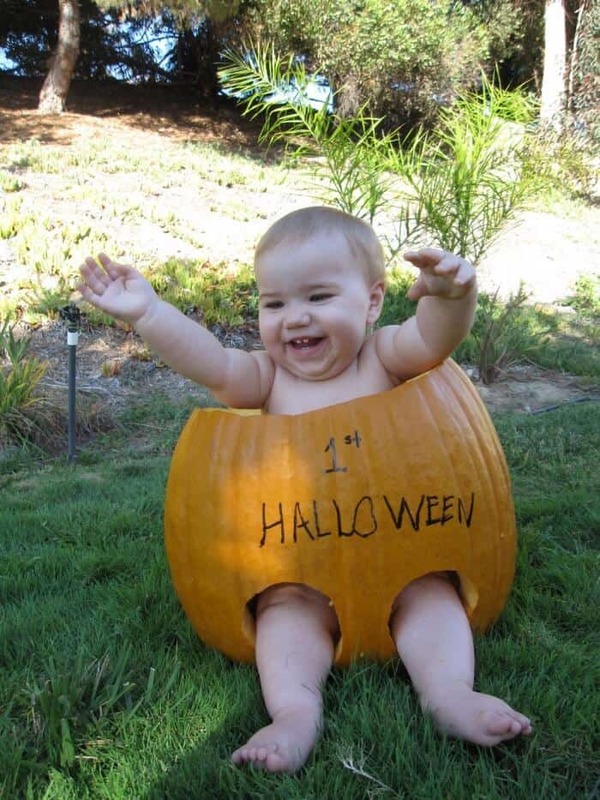 DNH Boy on the other hand was only a month old at his first Halloween and so things were a little different. 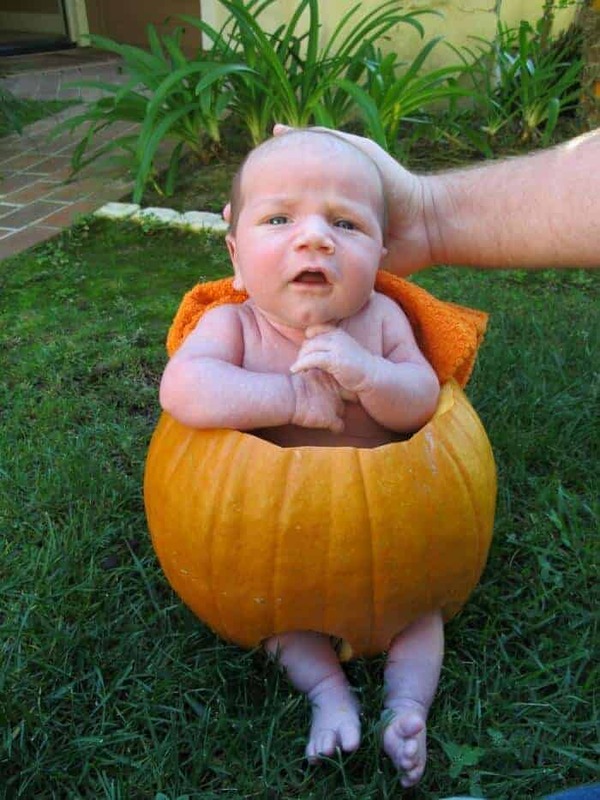 While we were unloading our Halloween decorations from the rafters, I stumbled across this pumpkin costume that we had bought DNH Girl for her first Halloween. 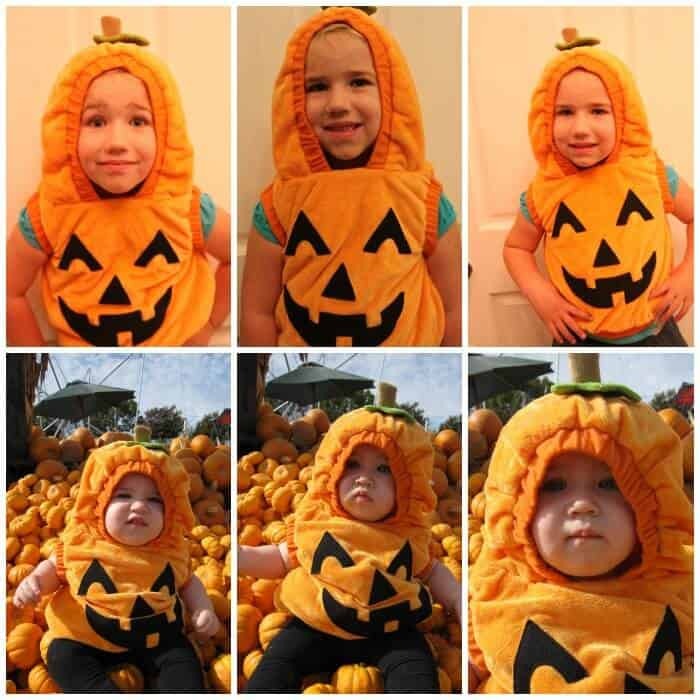 We had put her in it at the pumpkin patch and it was so cute. 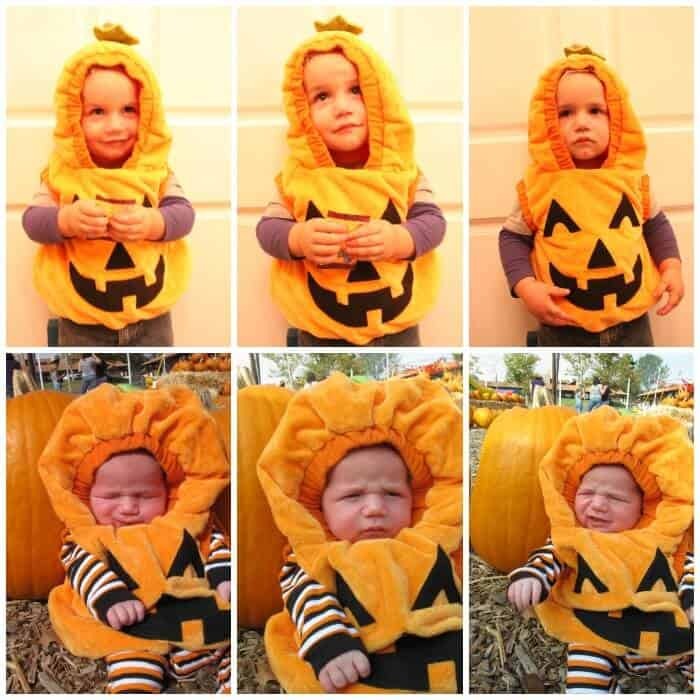 Then of course, we had to get DNH Boy in it on his first Halloween and well when they are that little, everything looks like a pile of squish. For a little fun, we decided to have both kids put the costume on as i think its probably the last year it will even fit, but thought you would all get a kick out these. We all know I’m the big sentimental goof (and a little bit of a hoarder) but I’m having a hard time getting rid of this one. How freaking cute was one month old DNH Boy? OH my gosh, I love that little face!